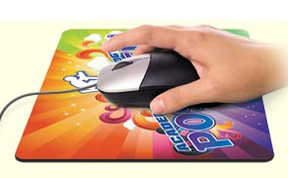 Custom Printed, Full Color Mouse Pads. • Soft surface for comfort and superior mousing. • Brilliant imprint permanently dyed into pad. • Won't crack or peel. • Great for laptops - travels well.